Back in July, when Amy & I met-up at Knit Wit to check out the Quince & Co. Yarns, we both decided that we wanted to design something new with it. In making this project, Quince & Co.'s Chickadee has quickly become one of my new favorite yarns - and it's seemingly endless color range has pushed me into a bit of a colorwork phase. 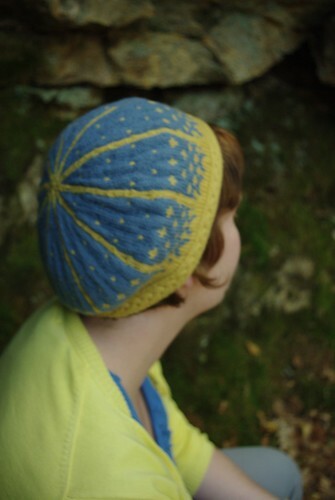 As soon as I had my colors in my hands I knew I wanted to do some kind of diminishing colorwork pattern with the yellow fading into blue. The color combination also had me thinking of the Swedish flag, so I did some internet searching for inspiration and came up with the concepts that became krona. Krona means crown in Swedish and a Swedish crown is both the literal Swedish royal crown as well as a braided hairstyle, both of which I tried to reflect in this pattern. 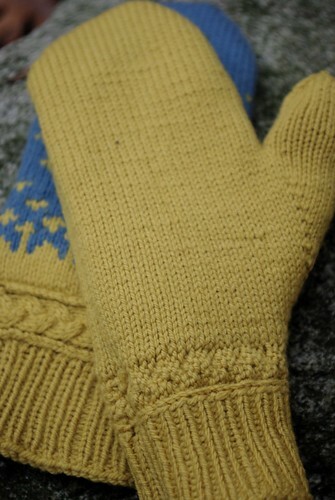 The braided band on both the tam and mittens is knit flat and seamed, and then the main pattern stitches are picked up from the band edges and knit in the round. 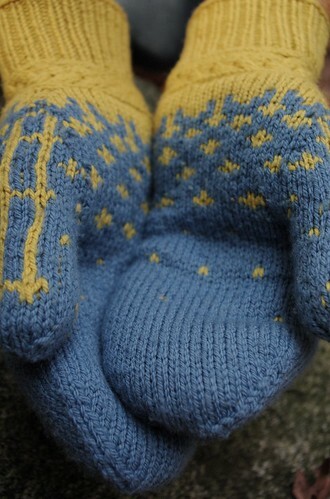 The mittens are identical on the front and back and can be worn on either hand. Because Chickadee is a sport-weight yarn, I lined the mittens from the braided band up for extra warmth. 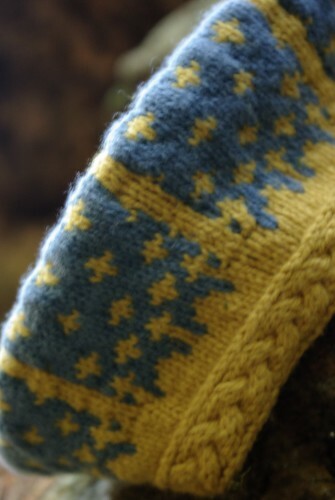 The tam sports the same colorwork pattern as the mittens, adapted to the hat shape. The tam is designed for head 20-22 inches in circumference and sits shallowly on the head. 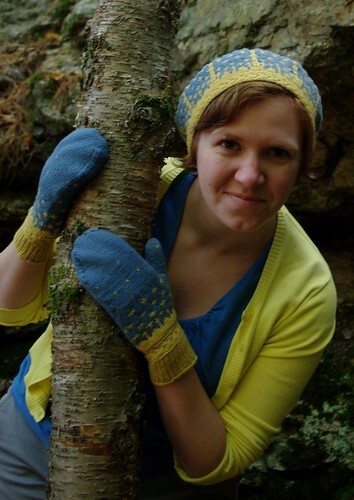 I received a good deal of good-natured ribbing from my knitting friends while working on this pattern, because I tended to unconsciously match my outfit to my knitting (does anyone else do this? 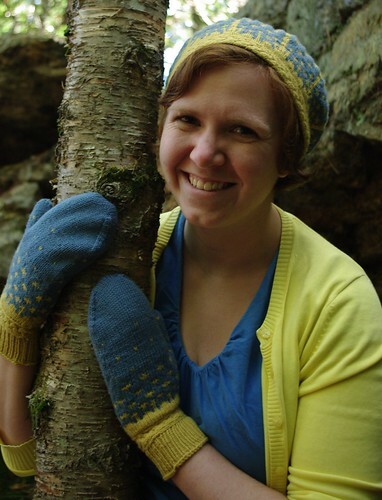 ), so my outfit in the photos is a tribute to the Portland Knitters on the Town. You can queue up the tam and mittens on Ravelry.